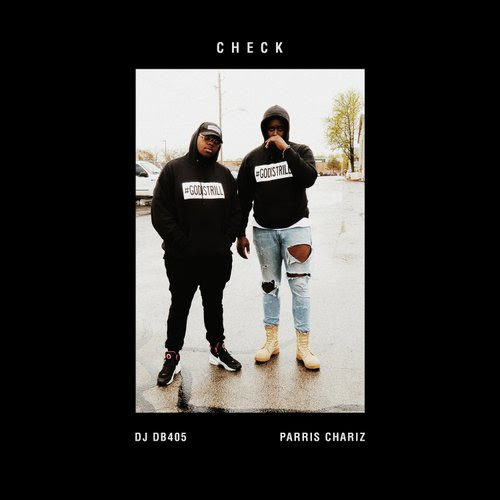 DJ DB405 starts "Check" off with a high energy intro on this vibey collaboration with Parris Chariz. "Check" sees Parris, in tongue in cheek fashion, sharing that he's worked hard enough to earn 2 types of checks... one with zeroes and another on his Instagram profile. In the first verse he details how he turned his life around. He's moved past selling drugs, old girlfriends, and is now making music for God. His new focus is on bettering himself and not worrying about what people think. In the second verse he goes in about labels not seeing the longevity in his music. He will keep pushing forward until it's undeniable. Parris wants to offer a positive alternative to music people hear every day. More importantly, he wants to help them choose life over death. Purchase "Check" via iTunes or Google Play.